This was posted on February 13, 2014 by Sarah Maxwell. 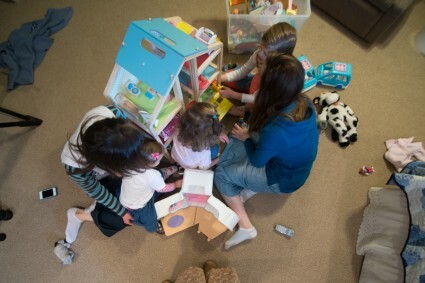 Every Monday afternoon, the little girls have a special playtime with Aunt Anna and Aunt Mary. If it’s nice weather, they enjoy outside time, but since it has been inclement lately, they’ve been inside. Their favorite toy of choice has been a Melissa and Doug house I bought on sale in December. 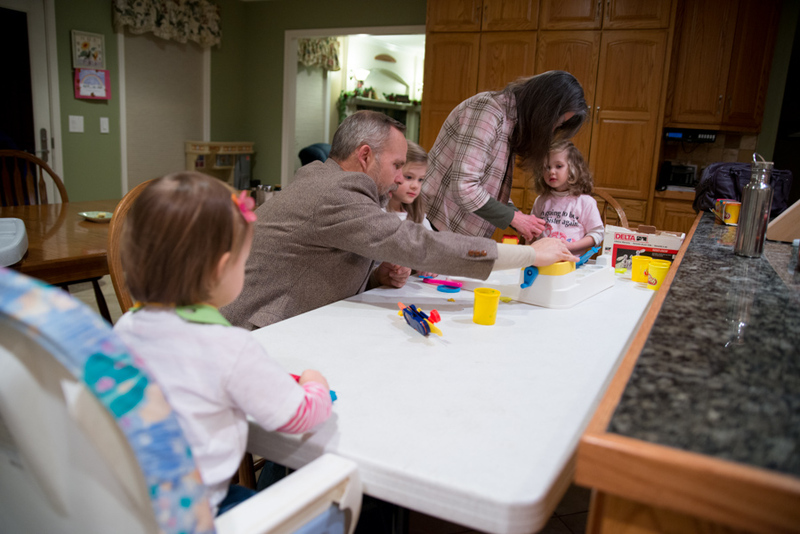 A new tradition my parents started this year is a special night, once a month, where the grandchildren from each respective family come over for dinner, playtime with Grandpa and Grandma, and Bible time. This month, the day that worked best was on Monday (normally they’ll do the first and second Thursdays), so the girls stayed over after their aunties’ playtime. We pulled our Playdoh activity center, along with old Playdoh, from the attic. We hadn’t used it for years, and would you believe the Playdoh was perfectly pliable and easy to use? 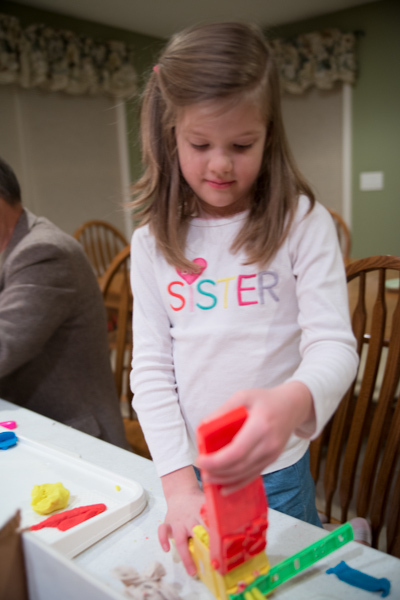 Playdoh with Grandpa and Grandma was most enjoyable. Christina is such a cutie. There’s a lot of action going on! Posted in: Family News, Misc. Congratulations to the three big sisters! What a lovely time! And what cute shirts! 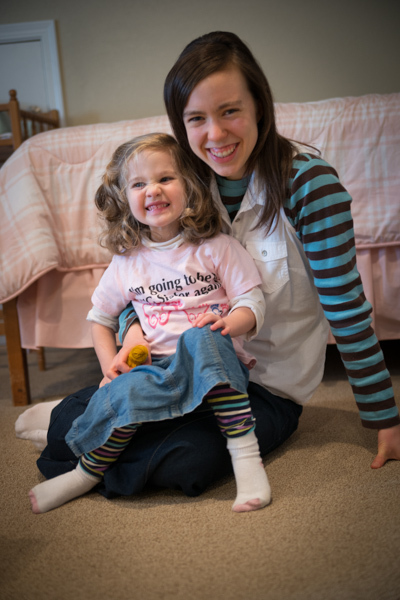 I didn’t see Christina’s shirt right away, and Abby’s didn’t really ping my radar, but Bethany’s “big sister again” definitely caught my eye! Congratulations to Nathan and Melanie! 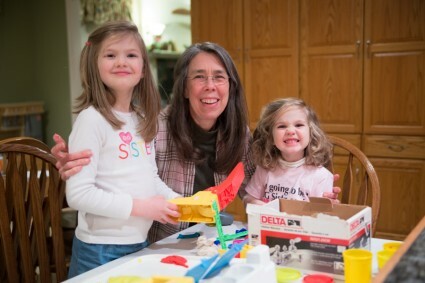 Those girls are just darling, and who doesn’t love play-doh. I love the way Abigail is strategically placed with her “again” shirt on.!!! What does Sarah do during Auntie’s playtime? What wonderful grandparents to have a special day each month for the kids. It’s nice that you have them so close. Congrats to Nathan and Melanie on the new baby! When is she due? Did I miss something?? Or are all the girls wearing big sister shirts?? What a fun time! And how wonderful to have another precious baby on the way. Is Melanie expecting again? I noticed Bethany’s shirt said “I’m going to be a big sister again”. 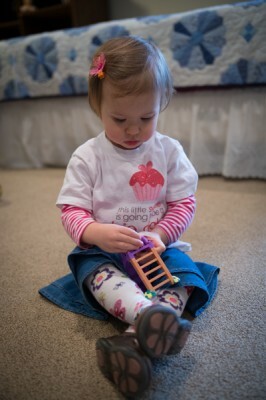 Wondering if there’s a new Maxwell on the way or if she is just wearing a hand-me-down shirt from Abby. Haha, you guys are trying to be sly, but it’s easy to read those t-shirts! Congratulations to Nathan, Melanie and the girls on the upcoming new addition to the family! Love the pictures of the girls. They are so blessed to have family so close to them. I also spot an announcement…congratulations Nathan and Melanie! Looking forward to more details (hopefully) soon! The best thing about cold snowy weather is staying inside, putting aside work that needs doing and just reading, working at some hobby, or playing with kiddos. Not so subtle message in the shirts?? Stay warm, and love you all! I love the shirts the girls are wearing!!!!!!!!!!!! How wonderful!! I’m sure the whole family must be so excited. When is the baby due? Looks like a lot of fun! Do all the girl’s shirts say what I think they say :)? Yes. The shirts were strategic! Two of them were purchased just for this blog post. The girls are really growing up & so sweet! I noticed the shirts. Would Melanie be expecting again? If so congratulations to her, Nathan, and the girls. Lovely pictures (important memories) and I must ask about the shirts????? Is there a new blessing coming for Nathan’s family???? Was there a previous announcement we missed or is this the announcement? That is so fun and I especially love the clever announcement! I caught it 😉 YAY!!!! The little girls have grown up so fast and are so sweet:) Are Nathan and Melanie expecting another baby? Just wondering ’cause of the girl’s shirts! Hey, is that another subtle pregnancy announcement?? Congratulations to Nathan and Melanie!!!! 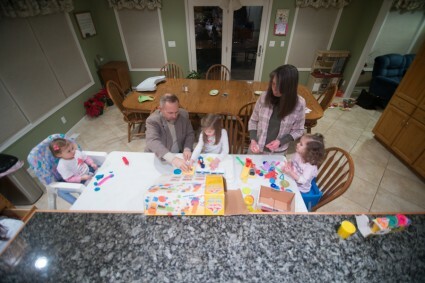 !Our family will be praying for them in the coming months as well as Christopher and Anna Marie.Love the special Grandparent time this is what special memories are made of.Thankyou for your ministry it is a blessing to our family all the way over here in Australia. Their shirts are adorable! Did I miss a previous announcement or was that it? Congratulations again! How sweet. Cute pictures. I like these kinds of posts. Thanks for sharing. 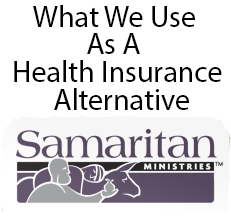 Please, I’m not trying to be nosy or make a bunch of questions pour into your blog, but…I honestly believe my eyes are not deceiving me from reading the logo on Bethany’s shirt? Hmmmm… Or is it from the past? No, I don’t think so! Hmmm…. Yes, the logo on her shirt says what I think it did! If I’m spoiling a surprise, you can delete this comment, or at least this part of it! Amazing news! I didn’t catch it till the very end. What a wonderful blessing! Praying for a healthy pregnancy. Thank you for this post! Congratulations & Prayers for a healthy pregnancy & delivery!!! face as she concentrated on rolling the play-doh). Congratulations to Nathan and Melanie, and all the family! Yay!!!!! Congratulations!!!!! Prayers for them and the sweet, new life!!! Oh and, I’m sure you had a great time with the girls. You’re so sweet to do that. What a blessing. 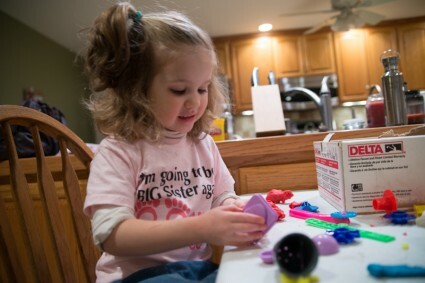 Ha ha — I totally missed the shirts until I realized there were already 25 comments on the blog post and I thought “what is so compelling about playing with playdough?”. 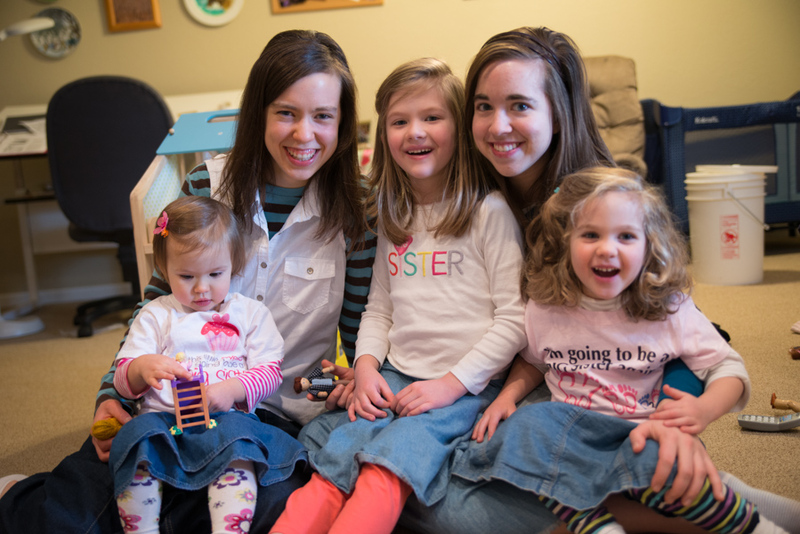 Congrats to Melanie and Nathan and the girls and your family — can’t wait to hear more details! I loved your response to this. Yes, what’s so compelling about playdoh?! I had fun with the shirts!